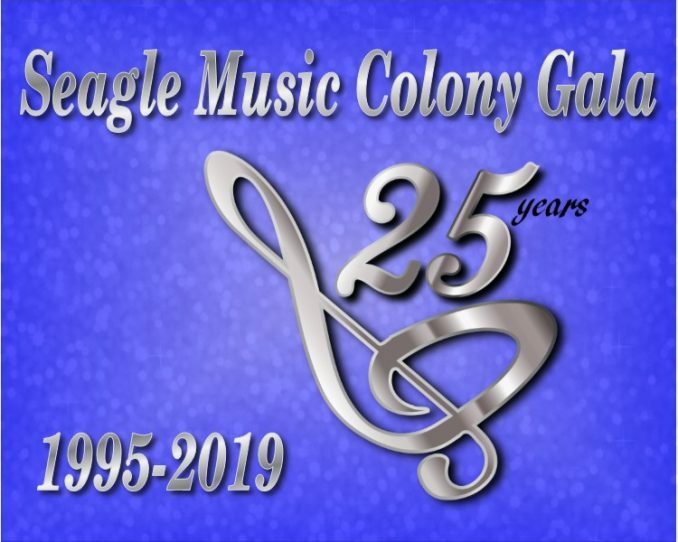 Seagle Music Colony is happy to announce the 2019 Seagle Music Colony Gala, to be held Saturday, July 13, 2019 under a grand tent on the Seagle Music Colony campus. The evening will be highlighted by a gourmet dinner catered by The Lily and the Rose of Saratoga springs, entertainment by the 2019 Seagle Music Colony Artists, a fabulous Live Auction, Premium Item Raffle & Paddle Raise, and dancing until midnight with the Frank Conti Band. The 2019 Seagle Music Colony Gala will mark the event’s 25th anniversary. To celebrate this milestone, the gala honorees will be the gala founders: Irma Worrell-Fisher, Tom Grogan, Sharon Harder and Dodie Seagle. The 2019 Seagle Music Colony honored alumna will be Eryn LeCroy. Eryn was a SMC emerging artist in 2014 and is now playing her dream role of Christine in The Phantom of the Opera on Broadway. This annual event is one of the highlights of the social season in the region and not to be missed! The Gala is also Seagle Music Colony’s largest annual fundraising event.